Microsoft during their build conference confirmed that Edge browser is the new entrant which is going to replace their long lasting Internet Explorer in the upcoming Windows 10 operating system. For the company it is a huge move to give up on a name that has been around ever since the internet came into being. However, this is a step that they have to take no matter what because in the past few years IE has been associated with a lot of memes, mockery for being really slow when compared to Mozilla Firefox and Google Chrome. Despite multiple attempts to revamp it and change the way it works, it didn’t reach the audience as intended. 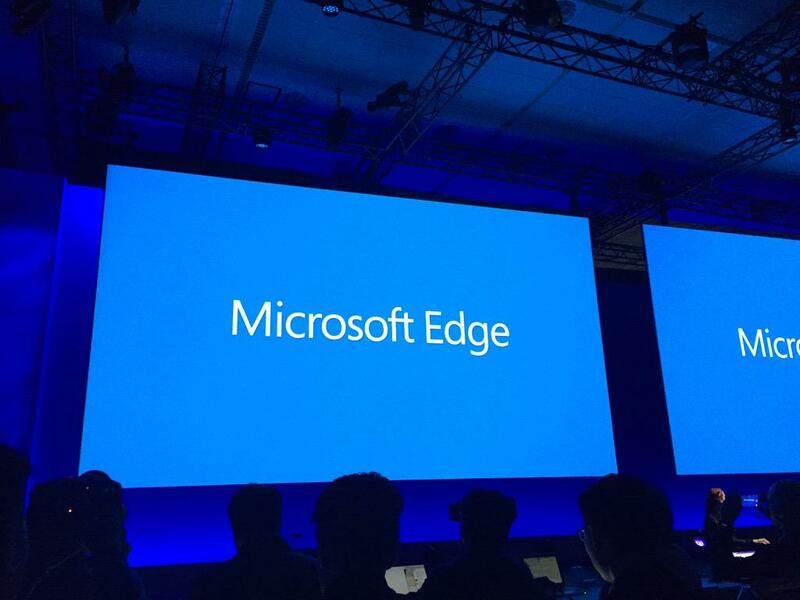 But, Edge is all set to kill Firefox and Chrome, if what they show in the video is true. It is easily the best looking browser in town and when it comes with Windows 10 packed with features, it could convince a lot of users to switch over. The promotional video the company showed during the build developer’s conference showed Edge browser in action and it looks really cool that you might wish to try it out soon. The consumer preview of the OS is yet to be out. Based on the statement by AMD, Windows 10 is coming in late July which is not going to be a long wait. It has Cortana voice assistant integrated into it, lets users easily mark any part of the web page and share it on social networks or through e-mail. There’s also easy reading mode, in-built Bing search engine and some cool user interface tweaks that lets you know about every tab that is open at the moment. The new web extensions feature built on HTML and Java would allow any developer to port those extensions from Firefox and Chrome in a jiffy. It just needs some minor tweaks before being operational. Microsoft is definitely aiming at their competitors and within a couple of months, it will be evident how they change the world of web with Edge.